Just finished 500 Days of Summer. Good romantic comedy. I highly recommend it. I heard it was a bit of a disappointment, but I'll still check it out on DVD. The trailer looked OK.
On tv, The Professional. On theaters, Avatar. By the Professional, do you mean Leon? I enjoyed watching that movie at the theater though. The latest movie I watched is "Ghost Writer". Awesome movie!! Check this out! Very enjoyable movie,it was entertaining and not to long. Some funny scenes and the story was good, I recommend this one. Yeah that one. I just realized the full name of the movie is Leon the Professional. I thought it was just The Professional. District 9 was a fabulous movie. A must-see IMHO. Refreshingly different and funny (sort of) too. Not the usual Hollywood garbage. I just saw the movie 'City of Men' last night, the sequel to 'City of God'. It was pretty good, not as violent as the first movie which I thought was a good thing. 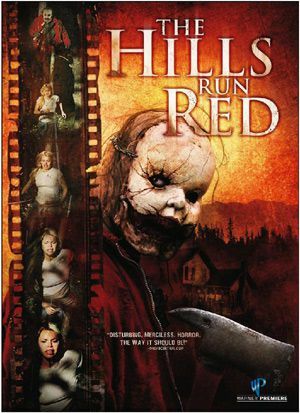 The last movie I watched at home was The Hills Run Red. Bright Star (last night). I enjoyed it although it left me with a sad feeling. The actor who played babyface(the killer) is Bulgarian I believe. 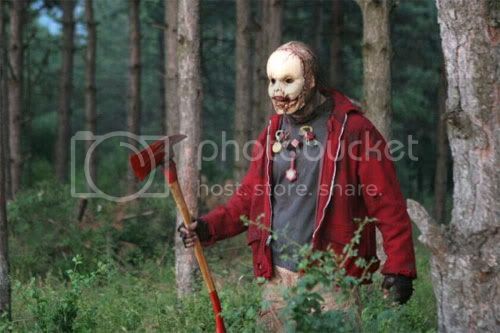 I like how you pointed out that he was the antagonist...for those who may have missed the mask and the blood-stained axe. I made a thread titled "wheelchair" in the Odds and Ends section, you should check it out and comment on it about your thoughts. Its actually the funniest clip I've ever watched in a horror movie, I laugh everytime I watch it and daydream about it. I tend to ignore the threads where people say something is hilarious as 99.9% of the time the videos may be comical to a thirteen year old. But...I will check it out since you asked. Big, i'd not seen it for years so it was nice to see it again. Nice but a tad long. Nah man, it's just Leon, but has been called those two in some countries for some reason. Absolutely brilliant film though, one of my favourites. Gary Oldman's awesome and Jean Reno's a badass. Book of Eli, I liked it. Alice in Wonderland 3D, only cool special effects, yawn to story. Didn't live up to the hype for me. Found it to be boring in my opinion..... the dance sequence in the park was interesting though. Theater: Sherlock Holmes I think.... it's been a while. Swingers. I was disappointed because I typically like Favreau and Vaughn together. Boondock Saints 2. If you liked the first one, see the second. I only watch horror movies. That movie was so money you don't even know it. Just saw Angels and Demons. Meh. The Machinist. I am on a Christian Bale kick right now. He got so skinny in that movie. Pretty good movie, too. Nothing great but it did get good reviews. Next up is Public Enemies, but I can't find it on the internet. Annoying. Anyone seen it? coming next from Netflix... Zombieland. The first really good movie I've seen in a while, and I watch movies regularly. by mistake I first had watched the Ricardo Cortez version. chrisitan bale was about 55kg/121 pounds for the machinist and he is 6 feet tall, living off one apple a day and coffee,; pretty insane really. Keanu Reaves owes me two hours of my life back plus the 2 hours I spent complaining about how bad the movie was plus the bandwidth it will take to send this plus I think I should be able to punch him once in the arm for making such a bad movie. At the movies, it was The Princess and the Frog. Great movie. Does this site give you viruses, spyware etc? That was the second last movie I watched. Love the ending, eh? Tonight "TCM" features a Japanese masterpiece from legendary director Akira Kurosawa: "Rashomon" (1950). My kind of movies. I mainly watch TCM and AMC. Last movies I watched were "The Good Earth" and "Birdman of Alcatraz"
Ah yes,because of the anniversary of his birthday,right? Haven't watched Rashomon yet only the 7 Samurais..It's a little difficult to find online old japanese movies.I've been trying to find everywhere Tokyo Story by Yasujiro Ozu but no luck.Consider yourself lucky to be able to watch them in tv.